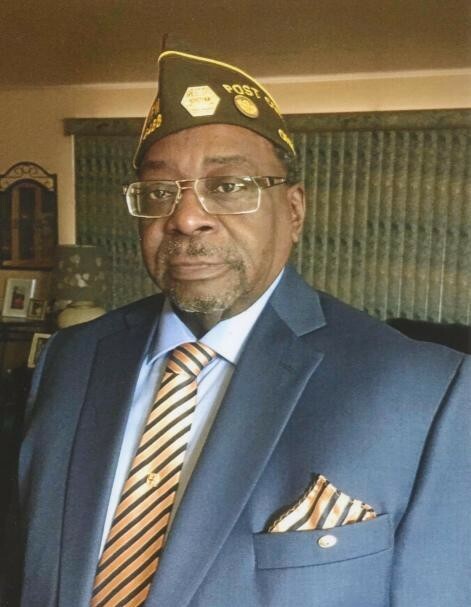 Obituary for Ronald Eugene Harris | L.E. Black, Phillips & Holden Funeral Home Inc.
Services will be 10:00 a.m. Saturday, February 16, 2019 at Alpha & Omega First Baptist Church, 3120 Winton Avenue, Youngstown for Mr. Ronald E. Harris, 72, who transcended to his Heavenly home on February 10, 2019. Mr. Harris was born November 7, 1946 in Youngstown, a son of Winfred and Lucille Cobbin Harris. He attended North High School until his senior year when he transferred to South High School and graduated in 1964. He was a former member of Price Memorial AME Zion Church. He was co-owner of the Southern Tavern, and had been employed as an office manager for Standard Slag-LaFarge and Allied Corporation. Ron was Commander of VFW Donald Lockett Post 6488. Among other teams he played softball for over 30 years, for Southern Tavern, Soul Gents, and L.E. Blacks Funeral Home. He coached the Southern Tavern’s girls softball team, where he was named Coach of The Year and several other girls teams. He was a die-hard Cleveland Indians, Browns and Cavaliers fan. His passion was watching his children participate in track and football. He was considered ”one of the best billiards player in the city”. He enjoyed driving his 1965 Impala Super Sport. He leaves to cherish his memory his wife, the former Ruthann Smith Harris; two daughters, Jasmine Smith of Atlanta and Demetria Harris of Austin, TX. ; two sons, Robert Smith Harris of Cleveland and Andre’ (Trinita) Harris of Round Rock, TX; a sister, Crystal Shorter-Hicks of Niles; four granddaughters, Cassandra and Kyara Owens, Andre’nay and Tia Harris all of TX; goddaughter Synde’ Robinson of Rootstown, Oh. ; a special aunt, Mary Robinson of Youngstown; his beloved best friend and brother, Joseph (Sandra) Williams; best friends, Danny and Frank Armour all of Youngstown; mother-in-law, Georgianna Smith of Struthers; and a host of other family and friends. He was preceded in death by his parents; his stepfather who reared him, McKinley “Mack” Shorter; a brother, Freddie Harris; grandparents, Frank and Ada Cobbin; and brother-in-law, Ricky Hicks. Friends may call from 9:00-10:00 a.m. Saturday at the church. Arrangements were entrusted to L.E. Black, Phillips & Holden Funeral Home.